In 2015, the Writers’ Guild of South Africa nominated three of Janet’s plays for the Award of Outstanding Achievement in Produced Stage Plays. She was given the Award on 28th April 2015 for A Matter of Time. 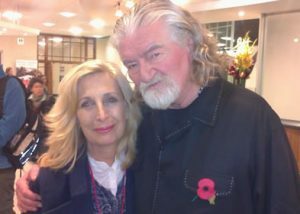 With legendary Hollywood Screenwriter, Joe Eszterhas, at the London Screenwriters’ Festival in October 2013. 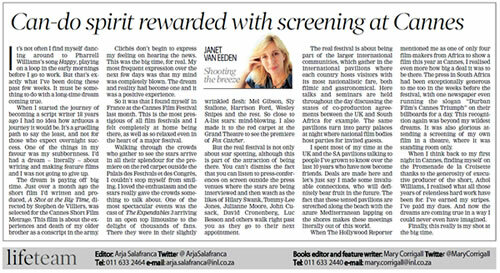 A film produced and written by Durban filmmaker and AFDA Durban Scriptwriting Lecturer, Janet van Eeden, A Shot at the Big Time, the short, has been selected for the Cannes Court Metrage, the short film corner of the official Cannes Festival 2014. It was chosen out of over many, many entries. 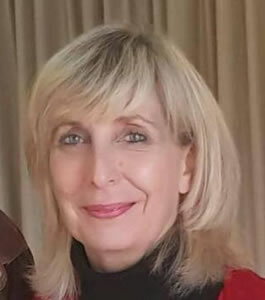 Van Eeden launched the crowd-funding campaign for Shot on 11th of the 11th 2011, on Remembrance Day, in remembrance of her brother, Jimmy, who was killed on the border in mysterious circumstances after being there for only three days in 1979. “I’d never been able to forget Jimmy’s tragic life, and after being challenged by film and theatre critic, Robert Greig, to write about my own life instead of writing plays about literary greats, I finally had the courage to put pen to paper and tackle one of the saddest experiences of my life,” she explains. The feature film script of A Shot at the Big Time is based on the the story of the tragic loss of Van Eeden’s brother which she says is Oedipal in its intensity. 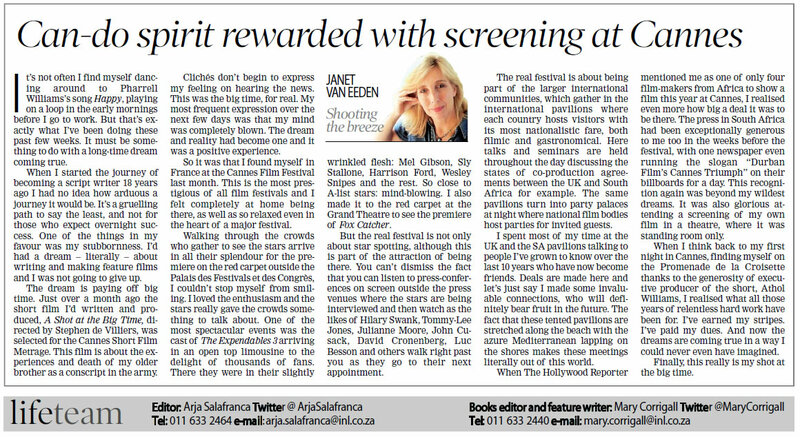 When she couldn’t get funding for the feature without giving away the rights to the film completely, and thereby compromising on the integrity of the story, she decided to do a crowd-funding campaign after listening to US expert Peter Broderick at the Durban Film Mart in 2011. She decided to produce the film herself. She didn’t raise enough money for the feature on Indiegogo.com but received so much support, including finding gifted young director from Australia, Stephen de Villiers, that she decided to shoot the short film instead. The lead actors auditioned online as part of the crowd-funding campaign and “the best actors I could’ve dreamt of” were found in Brad Backhouse as Jimmy and Sean C. Michael as the antagonist Van Staden as well as ex-Durbanite Tim Wells as Wiese. De Villiers flew out in July 2012 to film Shot the Short. Even an executive Producer, Athol Williams, was found through the campaign and he gave whatever he could to make the short film happen. 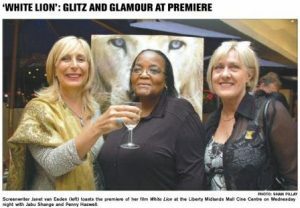 A Shot at the Big Time was one of the projects selected for the Durban Film Mart in 2012 and the short film premiered at the Durban International Film Festival in July 2013. It was awarded an eThekwini Film Award in November 2013. 1. Janet with Joe Eszterhas, at Screenwriters’ Festival 2013. Pic by Mrs Eszterhas.